The Arnheim Gallery acts as a physical curriculum that furthers the mission and philosophy of the Art Education Department. 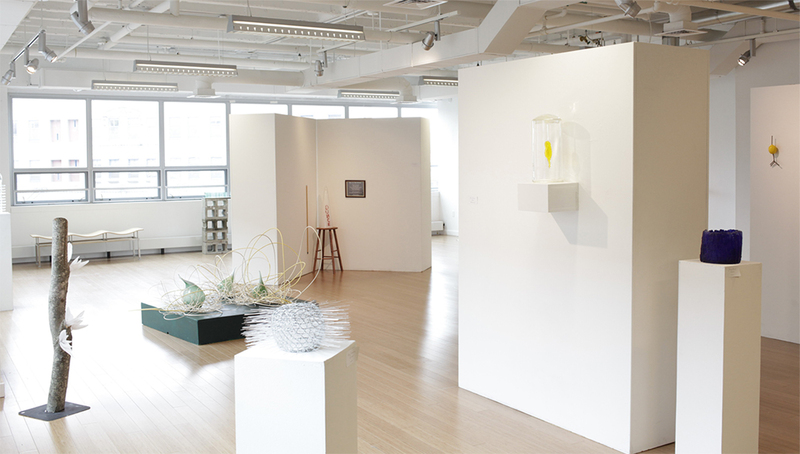 The gallery is a public venue to showcase the interfaces of art, education, and research. These interwoven contemporary practices provide opportunities for innovation in a gallery setting focused on teaching and learning in the visual arts. As the largest free contemporary art venue in New England, MassArt’s Bakalar & Paine Galleries are unlike any other, showcasing some of the most exciting and influential artists from the world. 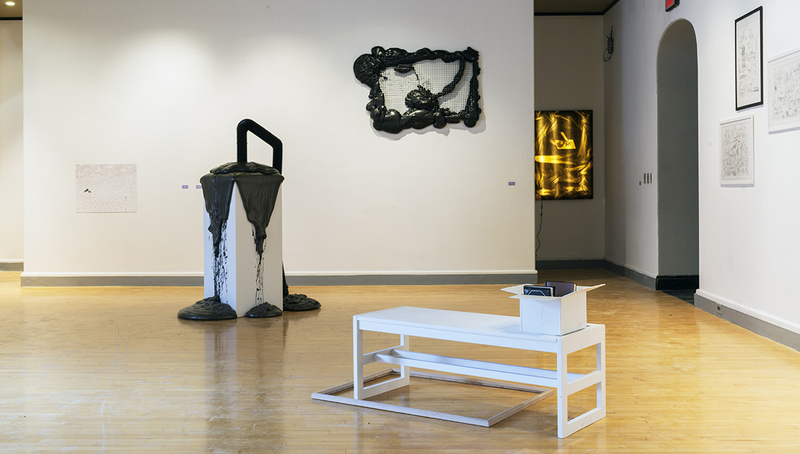 Curated exhibitions feature both rising talents and well-known artists in exhibitions that are a public resource for the college, Boston, and beyond. 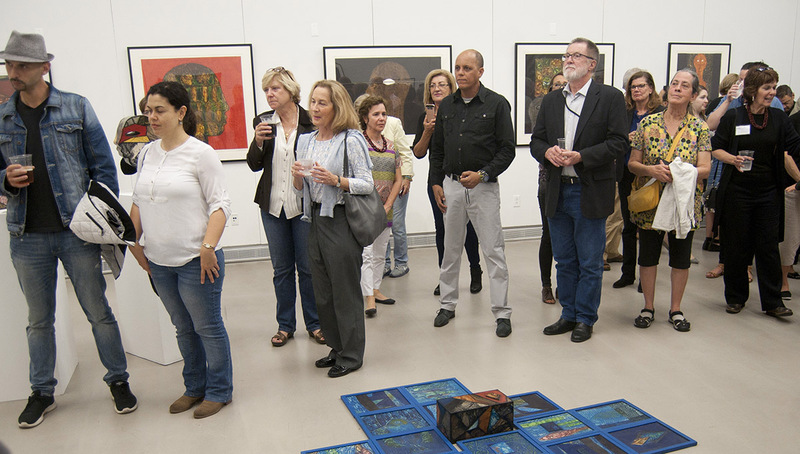 The Brant Gallery provides a forum for interdisciplinary, cross-cultural curriculum development through its exhibition program, lecture series, and visiting artists. The gallery expands the boundaries of the Studio Foundation curriculum by introducing students to contemporary issues in art from a global perspective. 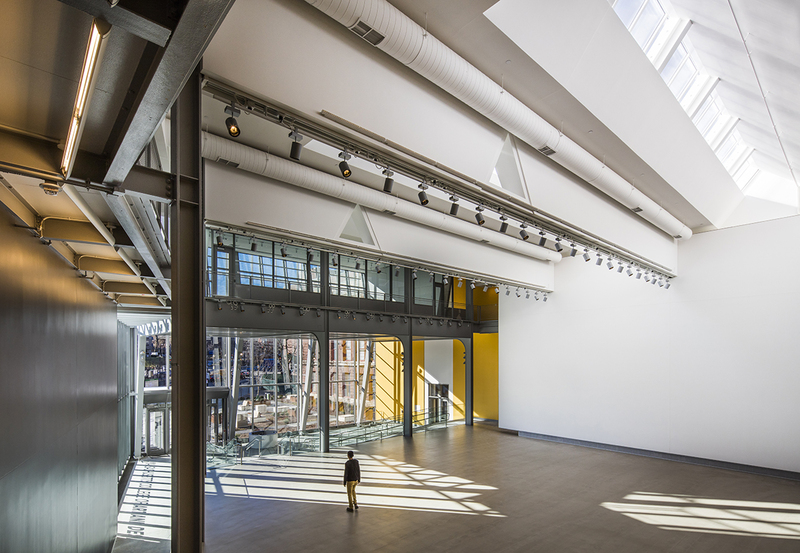 The Design and Media Center, designed by Susan T. Rodriguez of Ennead Architects, opened in January 2016 as the new front door to the MassArt campus. 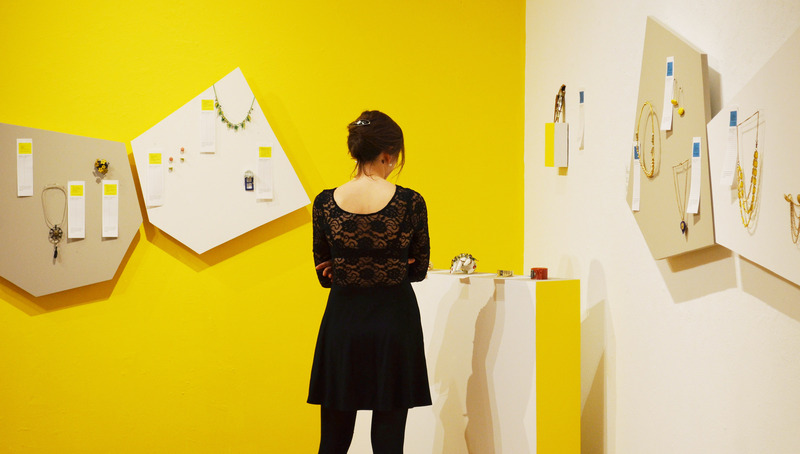 The Patricia Doran Graduate Gallery presents graduate student and student-curated events. A student coordinator, in conjunction with a gallery committee of graduate students, solicits proposals and coordinates the use of this space. Massachusetts College of Art and Design (MassArt) has renamed the President’s Gallery on the 11th floor of the Tower building to honor influential alumna and art educator, Frances Euphemia Thompson (1896-1992). 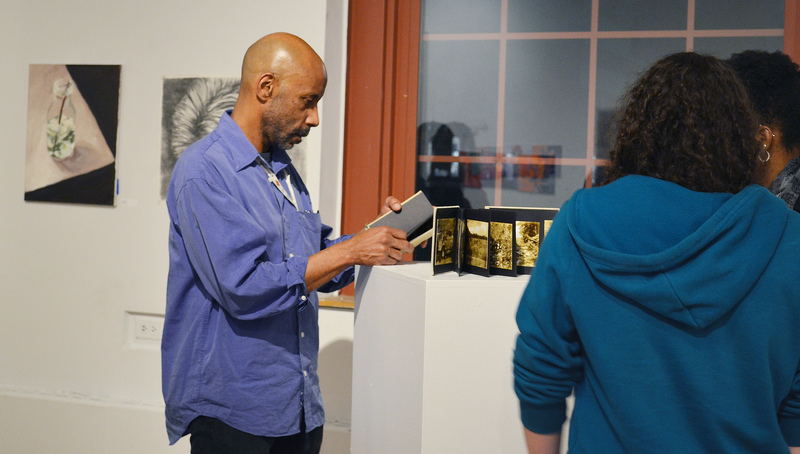 The Frances Euphemia Thompson Gallery features curated exhibitions honoring distinguished members from the MassArt community. These exhibitions celebrate the work done by artists in their community, innovation in artistic disciplines, and reflections on engaging and thought-provoking pieces. The Godine Family Gallery is a student-run multi-use space harbored within the Studio for Interrelated Media (SIM). 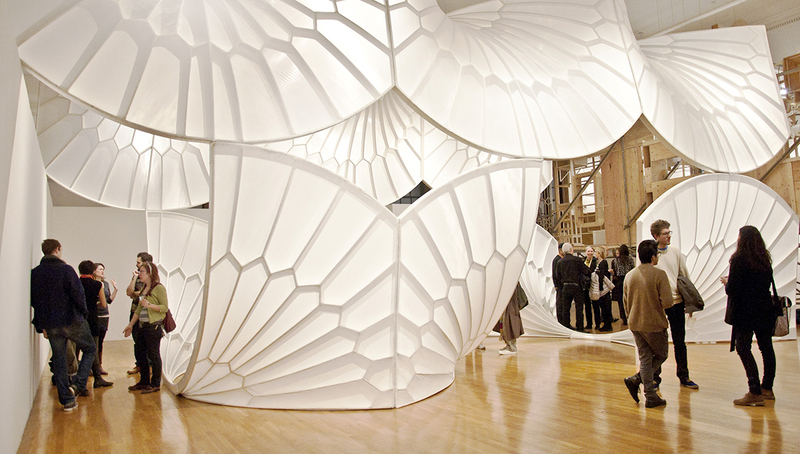 Its uses include exhibitions, performances, installations, conferences, lectures, events, and gatherings that serve the MassArt and Boston community. 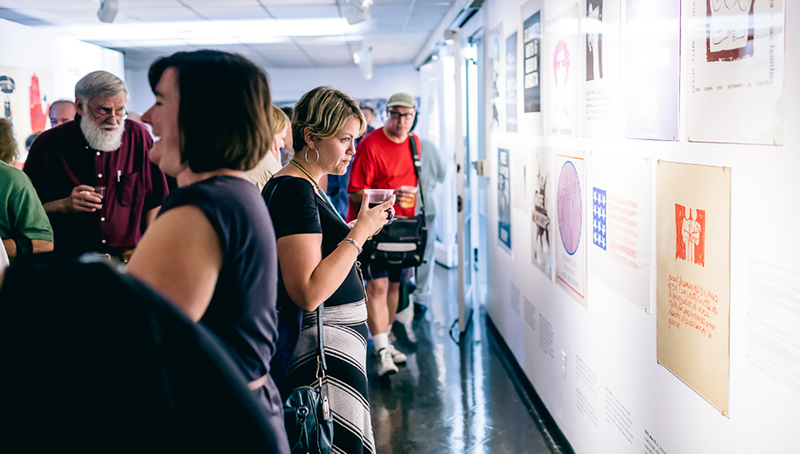 The Student Life Gallery presents student exhibitions throughout the year. Exhibitions are student-driven and coordinated through the Office of Student Activities and Programs.